The complete familiarity with business procedures possessed by our various staff is vital to the development of successful logistic design. Make the most of our years of experience supporting leading companies in all branches of industry. We speak your language! Maintaining deadlines, performance and budgets safeguards your investment. In addition we produce detailed plans and our project manager on site is there to ensure they are observed. 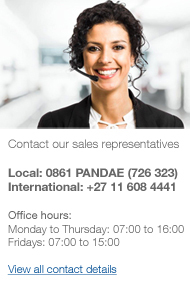 Pandae Solutions: First class customer service care from planning through to commissioning! We use the latest technology to enable you to visualise the design of your plant, warehouse or workshop and of course your specific requirements are included in the earliest stages. So you can be sure that, whatever your problem, the perfect solution will be found. Products, which you find in our catalogue today, will still be available years to come, thereby safeguarding the future of your investment.